This year has been a good year for conkers, as well as most other fruits and nuts, when we visited our local Horse Chestnut trees in October there was an abundance of spikey green shells hanging on tightly in the chilly north easterly wind, we collected about thirty beautiful, shiny brown nuggets that had fallen on the ground, enough for Thomas to play conkers with and some to plant as well. 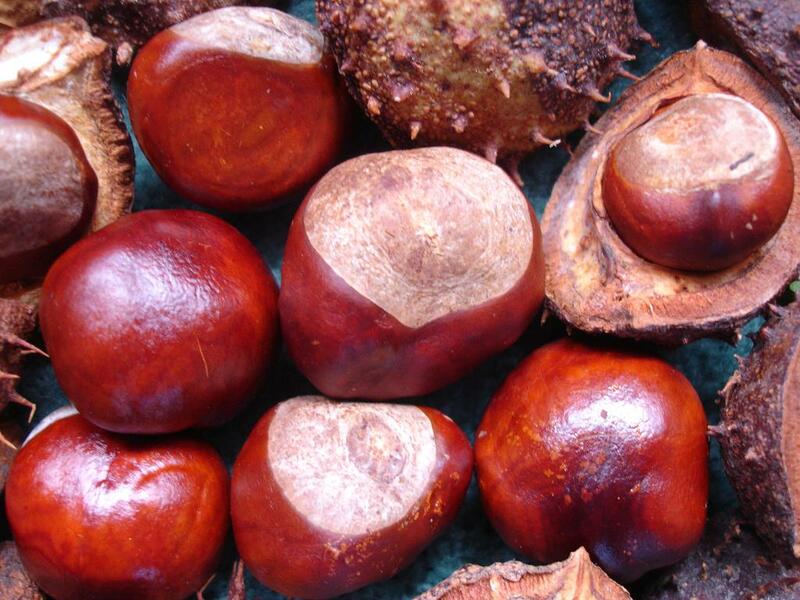 The first record of the game of conkers is from the Isle of Wight in 1848, they originally played with snail shells! Click here to learn how to play the game of conkers. Horse Chestnut trees were introduced from the Balkans in the late 16th Century, in the UK we have over two million trees, even though this year has been a good year for conkers the Horse Chestnut tree is under threat. GQT: Scottish Rose Inheritance – pruning help, please! to create a pleasing (usually symmetrical) outline to the plant. For large-flowered bush roses the traditional months are March in the south and April in the north of England (and possibly even later in Scotland), when growth is just beginning- but pruning can be done safely any time from November onwards in the south, provided you are prepared, if necessary to remove some frost damaged growth in spring. Most importantly never prune during a frosty spell. For climbers, the best time is October, when the recurrently flowering types have finished their show, but it can be done later if the weather is mild. For large flowered, bush roses cut away completely any diseased,weak and spindly shoots as well as removing all dead stumps from earlier pruning (use a fine toothed saw if they are particularly woody and thick). If there are many canes criss-crossing in the centre then remove a few to open out the bush. If two shoots are growing so that they rub each other, remove one. Finally, cut the remaining shoots back to about 200-250mm long. Harder pruning than this will produce larger, but probably fewer flowers – but it won’t harm the rose. For smaller, cluster-flowered roses do the same as for larger flowered varieties but leave the main shoots 300-350mm long. If the main shoots have side shoots, the latter don’t need to be removed, provided they are fairly thick (say about a pencil thickness), but they should be cut back by about two-thirds of their length. Climbers should be pruned to establish a permanent framework of significant branches from which flowering stems are produced. To achieve this cut back side shoots to one or two buds from the point where they branch out from the main shoots. If the plant has become bare at the base, cut one of it’s main shoots hard back to encourage new growth from ground level. Ramblers need to be pruned to encourage flowering on young shoots that grow from the base of the plant each year. To achieve this cut out completely the side shoots that have finished flowering and tie in the new shoots in their place. 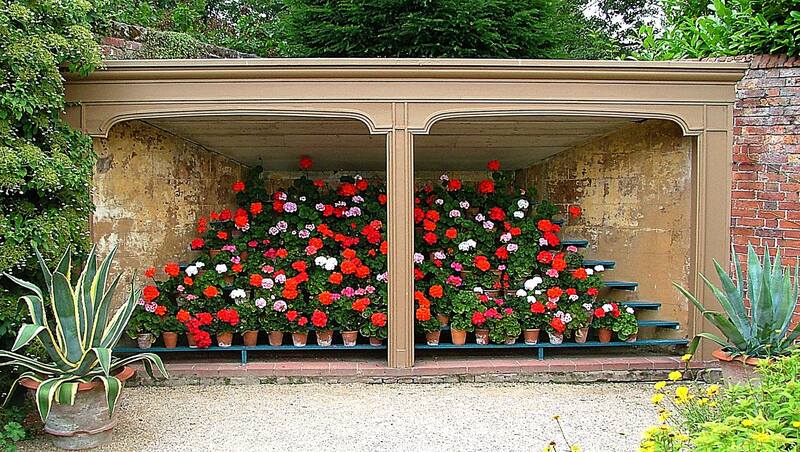 If in some years there are only a few of these, some of the old shoots (which can still produce flowers) may be left in place, but their side shoots should be shortened by about two-thirds. Miniature Roses which produce a thick tangle of tiny, wiry shoots, require these to be thinned out. Remove dead or diseased shoots and trim back the rest by about two-thirds. It may be difficult to find a bud to cut back to, so just clip them over so that they look neat. Shrub roses vary enormously in size and type, so it’s difficult to give a general guide to pruning. Wild (species) roses should not be pruned at all, other than for removal of dead or diseased branches. Most of the old garden roses such as Gallicas, Damasks, Albas, Centifolias and Bourbons will give more flowers if they have their side shoots shortened by about two-thirds in winter. Modern shrub roses that are in fact like giant versions of the smaller cluster types should be pruned in a similar way to those – but reduce their height by only about two-thirds. The Rugosa family needs little if any pruning, although for the less dense kinds, a few older canes cut back every two-three years will encourage bushiness. If you have newly planted roses then you should prune them even harder than established plants so that a strong framework of new shoots will be built up for the beginning. Leave their shoots only about 50-75mm long. Prune autumn planted roses when you do your established ones and spring planted ones at planting time. But, don’t prune climbers at all in their first year, as they take longer to establish. Pruning cuts are easiest with secateurs. Ensure that a clean cut is made with clean blades (these should be sterilised with surgical spirit/alcohol to avoid passing on diseases from plant to plant). Cuts should be made about 6mm above a bud on a shoot; the cut should slope down towards the side away from the bud. Cutting to an outward- facing bud encourages the bush to spread outwards, but don’t worry if you can’t find one exactly where you want to cut- often a bud lower down will grow away more vigourously in the direction you want, and you can always trim it back later.